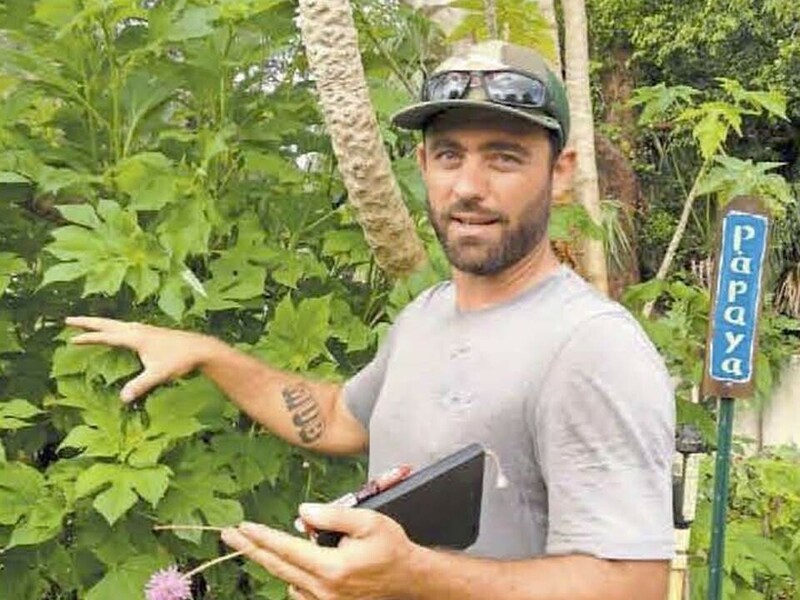 Sam Baker is the owner of Englewood Homegrown, an edible landscaping company in Englewood, FL. The operation is based out of The Open Studio, a non-profit small business co-op with a focus on arts and healthy living. The 2 acre grounds of TOS is landscaped primarily with fruit trees, natives and perennial vegetables, with the goal of creating an ever developing food forest environment. Onsite, there is also a community garden space and a nursery specializing on edible plants where many of the plants growing on the property can be purchased. Englewood Homegrown also services local residential clients, offering installation and maintenance of edible landscapes.